Please join us 7:30 for concert, 5:30 for dinner. for a memorable concert of cantorial and Hanukkah music by Israeli composer Raymond Goldstein who will be joined by Cantors Chaim Dovid Berson, Sanford Cohen, Brian Mayer and Gideon Zelermyer (formerly of West Hartford), Adrian Durlester, pianist and instrumentalists. Additionally, The Beth El Adult and Children’s Choirs, Children’s Choirs from The Solomon Schechter Day School of Greater Hartford and Bess and Paul Sigel Hebrew Academy of Greater Hartford will raise their voices under the direction of Cantor Joseph Ness. Admission is $20. $15 for seniors and students. Children under 12 free. Tickets available at temple office or at the door. This Sunday — November the 24th at 3PM. Join Cantor Michael McCloskey, SJM ’07, as he hosts and performs in a concert of Kurt Weill musical theater selections. 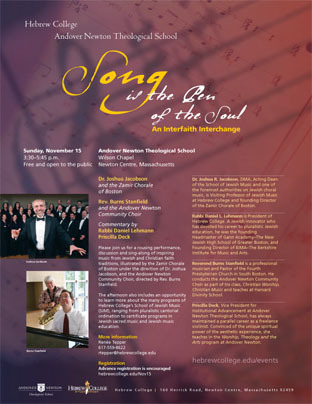 The concert also features four fantastic musicians, Richard Conrad, baritone, Philip Lima, baritone, Andrea Matthews, soprano, and Bill Merrill, pianist. Stuart Hecht, associate professor of theater at Boston College, who has written a very erudite book exploring Jews and musical theater, called Transposing Broadway, will narrate the concert. He is quite an amazing resource, has worked with some amazing people including David Mamet, and was recently featured on PBS. Join us for Yidstock 2013: the festival of new Yiddish music! DON’T MISS OUT ON WHAT PROMISES TO BE AN AMAZING FESTIVAL! The Yiddish Book Center is located on the campus of Hampshire College in Amherst, MA. Thursday, May 17, at 7:30 p.m. at Temple Ohabei Shalom, 1187 Beacon St., Brookline, MA. What is Jewish music? What constitutes a Jewish composer? The answers will be revealed at the Top 10 Jewish Composers concert on Featuring the Zamir Chorale of Boston, Kol Arev and Cantor Randall Schloss. Admission to this event is $20 general admission and $10 for senior citizens; students, faculty and staff of Hebrew College. Order tickets https://secure.hebrewcollege.edu/HebrewCollege/concerttix.htm. Come hear THE KLEZMEN with The Hartford Symphony on Sat. Dec., 10th—-2 shows—3PM and 8PM. Guest Soloist: Walter Mamlok on clarinet. religions, and the astonishing and beautiful interactions among these traditions. Candidates must have excellent vocal quality, the ability to sight-read music, and previous choral experience. In addition to the audition, candidates are required to attend open rehearsals at Hebrew College on Tuesday, September 13 and 20, from 7:15 to 10:00 p.m. Rehearsals are held on Tuesdays at Hebrew College, from 7:15 to 10:00 p.m., from September through early June. For more information about Zamir and audition requirements, visit www.zamir.org. the Zamir Chorale of Boston! Prospective members will attend Open Rehearsals on Tuesday, September 13 and 20. Additional details will be posted on the Zamir website in July. To schedule an audition, contact manager@zamir.org. Saturday, May 28, 2011 at 8:00 PM. Contact: 508-405-ARTS (2787). Tickets: $15, student/senior $14, member $12. May 1, 2011, 7pm – Yom HaShoah, Holocaust Memorial Day. 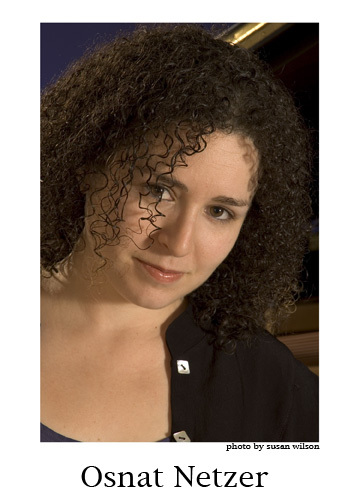 School of Jewish Music student Becky Wexler, Music Director. Go for an evening of the lively, living melodies of traditional Yiddish and Sephardic folk music that sing of the human experience. Tickets are $7 ($4 for children under 14) and will be sold at the door. More information can be found at http://www.myspace.com/shpilkes or http://www.uuframingham.org/uch/. Cookie Segelstein and Joshua Horowitz invite you to join us for a concert in this historic building in the woods! Boston is having a Jewish Music Festival !! this March 6-14, 2010.
email HHConcert@gmail.com or call 617-558-8100. 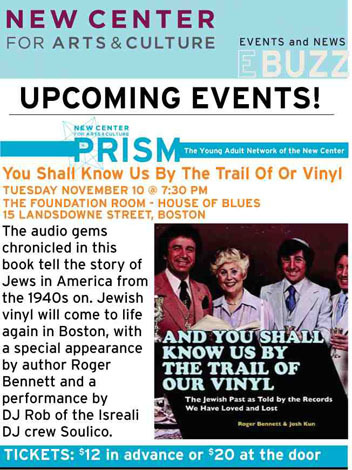 Jewish vinyl will come to life in Boston as Roger Bennet, author of “And You Shall Know Us by the Trail of Our Vinyl”, a book chronicling the story of Jews in America from the 1940s through the recordings on LP. Performance by DJ Rob of the Israeli DJ crew Soulico. Tickets $12 in advance, $20 at the door. Symphony Hall on Sunday, November 1, at 7:30 PM. celebrate the beauty of Israel’s landscape, culture and people. 617-266-1200 or by visiting www.bostonsymphonyhall.org/dudufisher. Seating is limited – please register now. David Kates, pianist and producer of Julie’s just released CD “Reunion” and New England’s own Dov Schiller on percussion will accompany Julie. pressure to join; no prior musical or Jewish experience necessary. On Sunday, April 26, 2009 at 7:30pm, the Woodland Concert Series will be presenting an important musical and cultural offering to the Hartford area. 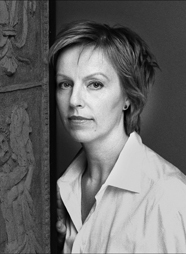 Featured will be mezzo-soprano Anne Sofie von Otter in a program of music composed by Jewish composers during their imprisonment at Theresienstadt, a concentration camp in Czechoslovakia. She is being assisted in this concert by the noted violinist Daniel Hope, and by her regular accompanist, Bengt Forsberg. KlezFactor (America) makes their US debut with a star-studded, international line-up. early 20th century, and other selections from the Jewish diaspora. Sunday, March 8 at 3:00 p.m.
to be inspired by great music performed by two acclaimed choral ensembles. March will be abloom this year with beautiful music, as Zamir performs its spring concert two months earlier than usual. This year we have partnered with the Newton Choral Society to produce a program of musical masterworks, featuring a combined force of 120 voices. There are four wonderful works on this concertincluding Chichester Psalms by Leonard Bernstein; choral cycle Mo’adim (Festivals) by Mordecai Seter, and more. 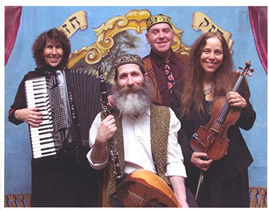 Shirim Klezmer Orchestra, masters of the klezmer universe, perform a fun and infectious concert of klezmer and beyond on Feb. 8, 2:00pm at the Lilypad, 1353 Cambridge St., Inman Square, Cambridge, MA . Suggested donation, $10, $7/kids. Bring the kids, bring your grandmother! Be ready to move. This is music for the soul. Doors open 7:00PM $10 adults, $7 children (under B-Mitzvah). FOD is an acronym for Friends of Danny and the concert tour features many of the musicians who played in bands or jammed with Danny while he was alive, as well as many who never knew him but connect with his story. FODfest is a unique performance format: part song-swap, part jam session, part concert. Most of the participating musicians are meeting for the first time on stage. on October 26 at 7:30 p.m.
groups in Israel. For the finale, all three choirs will share the stage. free live concerts, classes, rides, and food from all around the world. Forgiveness Selichot Service Saturday, September 20 th from 9:30PM-11:00PM – Free! study, chant, meditation and sacred conversation. call 617-566-8171 x20 for more info. Mountain in Falls Village Connecticut. festival last year with his band, Stempenyu’s Dream. Together, they are on fire. 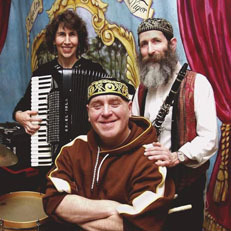 Harmonia; and are original members of the international Klezmer band, Budowitz. welcome. And do come to enjoy some amazing music. You can read all about them at truthfacerecordings.com/wiyos where you can see pictures, check out their tour schedule and press stuff, and hear samples, but it’s even BETTER to see this amazing ensemble LIVE! Yiddishkeit Klezmer Ensemble and Sruli and Lisa. Join Maestro Joshua Jacobson and the Zamir Chorale of Boston for a celebration of well-known works and hidden gems by Israel’s greatest composers, including Yehezkel Braun’s dramatic “Magash Ha-kesef,” Naomi Shemer’s mystical “Shirat Ha-asavim,” Gil Aldema’s joyous “Ashira Liydiyday,” Moshe Wilensky’s exuberant “Uri Tsiyon,” and a rollicking arrangement of Marc Lavry’s “Shir Ha-Emek.” The evening culminates with the world premiere of Cantor Charles D. Osborne’s stunning oratorio for chorus and orchestra, Like Wildflowers, Suddenly, based on the poem “Wild Peace,” by Israeli poet Yehudah Amichai. The music of Edwin Geist, a composer who was murdered by the Nazis, will be performed for the first time in the USA. There will be a screening and discussion of the film, Musica Concentrationaria (with English subtitles) by Francesco Lotoro (a member of Allgenerations). or call 575-2284 weekday mornings. Kosher hot dogs, snacks & beverages will be on sale. Congregation Kehillath Israel in Brookline. the rousing folk music of the Gevatron. Singer, songwriter and folklorist Laura Wetzler performs with Robin Burdulis on percussion and Wes Brown on bass. Take a musical journey to Jewish communities in Uganda, Morocco, Tunisia, Poland, Ethiopia, Spain, Yemen, Greece, and Italy in a high-energy celebration of Jewish culture. “Laura is one of the very best,” says Pete Seeger. on the campus of Hampshire College, Route 116, Amherst, Massachusetts. For additional information, an application or reservations, please phone us at 413-256-4900. Part of the Paper Bridge Arts Festival. A native of Massachusetts, Rahel is known for her spirituality and restful music. popular summer outdoor music series, held in the beautiful Calderwood Courtyard. s 1969 hit Boom Pam . Since then, the hype surrounding these musicians has boomed. concert setting, to be followed by a jam session. session that will follow the concert.